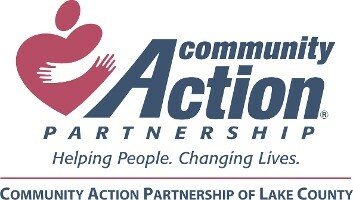 At Community Action Partnership of Lake County, we assist families on their journey to self-sufficiency with your donations and with support from our partners in the community. Learn more about how we fundraise and how you can help our cause by sharing your money, resources or time. Fund development is central to our approach to supporting the CAPOLC mission. As we work to build a network of donors, we continue to seek a variety of giving opportunities for the philanthropic community in Lake County. The Community Action Foundation of Northern Illinois (CAFNI) was founded in 2013. It was started to address the number of private sector businesses and local stakeholders who want to partner with CAPOLC to assist struggling families. Through a combination of private donations, grant making, and fundraisers, this foundation has connected us with more patrons and granters. What makes the Foundation unique is our focus on Social Enterprises to raise revenue to support the work of Community Action. We engage in 21st century approaches to moving individuals and families from near poverty onto a path of self-sufficiency and asset building. CAP Catering Services is one of two CAPOLC social enterprises serving Lake County, Illinois. CAP Catering offers a Banquet & Meeting Center at 1200 W. Glen Flora in Waukegan for up to 200 guests. We provide on and off-site catering for events, weddings, sit-down and box luncheons and dinner parties. CAP “Changing Lives” Upscale Resale Shop (CLURS), 2424 Washington St. in Waukegan, has a wide variety of merchandise for the home and your closet! Most of our merchandise is gently used, but some items are donated directly from department stores. Special sections include designer clothing, custom jewelry and furniture and high-end artwork. Veterans Housing @Hervey provides housing and support services for US military veterans and their children. There is a special emphasis on female veterans with children. The project is focused on two goals. The first is to provide stable housing for homeless and near-homeless veterans with children. The second is to remove obstacles that are preventing these veterans from receiving existing job benefits that will return them to self-sufficiency.